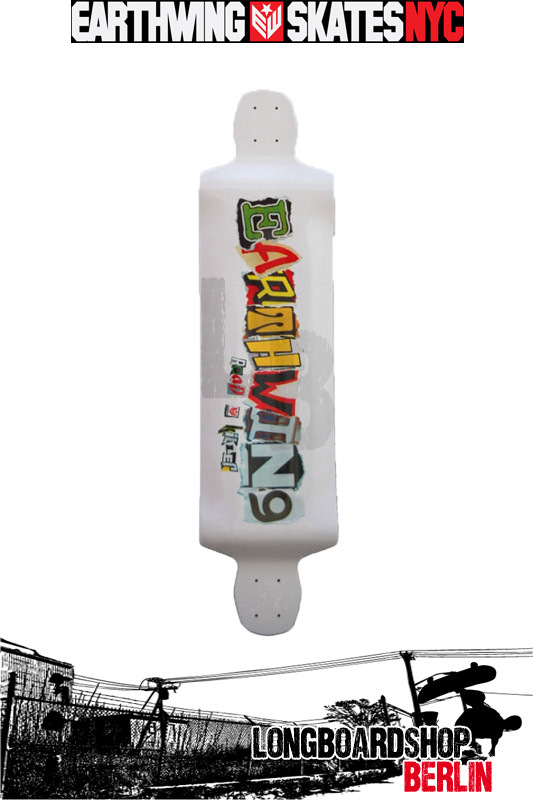 "The Earthwing Road Killer was a joint collaboration with team rider and engineer, Adam Auger from Vancouver, BC. The multi-radius dropped platform concave features a "w" bubble that runs from instep to instep creating a locked in stance and provides rigidity in all directions. This deck isn't for everything, or everyone, but is the best for what it was designed to do. If you love going sideways and leaving long thane lines while feeling glued to your deck...you will love this." "The road killer was inspired by the need for a free ride specific deck. With massive amounts of W concave ergonomically designed to snug your feet into its deep pockets when in “battle stance” this board is ready for anything. Tested in Giants Head Provincial Park in Summerland B.C. This board has been proven to lock your feet in and keep you sideways longer than it takes to text "I LOVE THIS THING SO I AM THROWING MY PINTAIL AWAY!" to the Earthwing HQ."